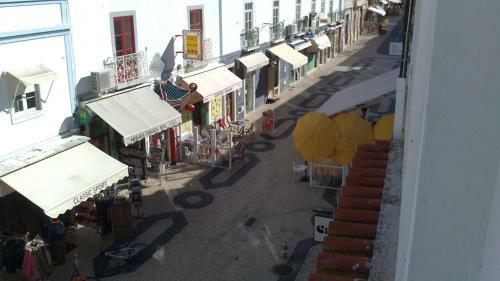 Located in Lagos’s historical centre, Cidade Velha is 500 metres from Praia Dona Ana Beach and Ponta da Bandeira Fortress. It offers a cosy lounge room with open fireplace and free Wi-Fi. All rooms feature bright décor and tiled floors. Canavial offers modern studios and rooms 600 meters from the sandy Porto de Mós Beach. Set among gardens and outdoor pools, it provides nearby golfing facilities, a bike rental and windsurfing possibilities. Situated in Lagos, this air-conditioned apartment is 1.1 km from Meia Praia Beach Lagos. The property is 700 metres from Lagos Marina and free private parking is available. Located 1 km from Meia Praia Beach Lagos in Lagos, this air-conditioned apartment features a balcony with sea views. The unit is 100 metres from Lagos Marina. Free WiFi is provided throughout the property. Located in the historical centre and main commercial area of Lagos, Caravela is a 2 floor hostel that offers 16 confortable rooms. Free WiFi is available. The heated rooms are equipped with large closets, dressers, support tables and chairs.